For homeowners property tax is one of the most painful and visible taxes going. Instead of having the tax skimmed off their pay cheques at source, they generally have to cough up hefty installments either monthly or four to six times a year. Alternatively, they can see their mortgage payments swollen even more, if their lender insists on making the tax payments. Tenants pay property tax, too – arguably at higher rates than homeowners in some municipalities – but landlords build it into their rent. If you can’t avoid it, you can at least understand it. Here are ten things you need to know about property tax. 1. How is it calculated? Your municipality takes the assessed value of your home and applies the tax rate. 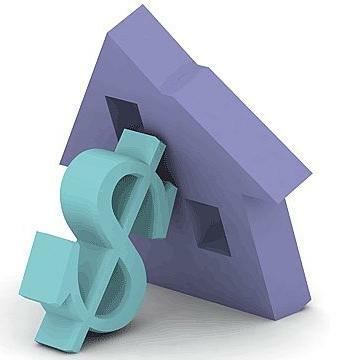 If your home is assessed at $300,000 and the tax rate is 2 per cent, your tax is 2 per cent of $300,000, or $6,000 a year. 2. How is my assessment determined? A non-profit agency called the Municipal Property Assessment Corporation (MPAC) assesses your property, and sends the owner a notice of its assessment. The assessment is supposed to reflect the price it would likely fetch if you put it up for sale. MPAC tracks real estate sales neighbourhood by neighbourhood so it can put a value on a one-bedroom condo in the St. Lawrence neighbourhood, say, or a four-bedroom detached home in Stouffville/Markham. It may reduce the assessment if the home is on a busy corner beside a gas station, or boost it if it’s on a prestigious street backing on ravine. 3. How is the tax rate set? Your city or town council sets a tax rate through the annual budgeting process. The regional council, if there is one, also sets a tax rate. (Toronto has no regional government, but the other municipalities in Greater Toronto each have both local and regional governments.) Finally, the provincial government sets a tax rate for education. The three rates are added together. If the local tax rate is 1 per cent, the regional rate is 1 per cent, and the education rate is 0.5 per cent, the total tax rate is 2.5 per cent. The city (or town or township) collects the tax on behalf of all the other governments, so you get just one tax bill. There’s not much you can do. Politicians on local and regional councils set property tax rates for their areas, and the provincial government sets a province-wide rate for education. If you don’t like the tax rates, you’ll have to persuade the politicians to change them, or run for office yourself. First, you should call MPAC at 1-866-296-6722. If a phone call doesn’t change your mind, you should ask MPAC to send you a list of the assessment on properties similar to yours. There is no fee. You can also send MPAC a list of properties you think are comparable and they will select six properties of their choosing. You can do this in the “About My Property” section of the MPAC website. Your assessment notice should contain the User ID and password you’ll need. If you still think you’re over-assessed, you can make a “request for reconsideration,” an informal process in which you state your case in writing, and MPAC tries to respond within 60 days. Instructions are on the MPAC website. This is free. You have one further avenue, which is appealing to the Assessment Review Board, a tribunal independent of MPAC. This is a more formal process involving a hearing before a board member. You can represent yourself, or hire a lawyer. You must pay a fee of $75. You must have already been through the “request for reconsideration” process, and must file your appeal within 90 days of the mailing date of your request for reconsideration decision. 7. If my assessment rises, do my taxes go up? Not necessarily. If everyone’s assessment goes up 10 per cent, but the cities and school systems don’t increase their budgets, they should be able to lower their tax rates 10 per cent and still collect the same amount of money. It’s seldom that everyone’s assessment rises by the same proportion, of course. A hot housing market in one neighbourhood may drive up assessments faster in that area than in others. 8. Do businesses pay property tax? They do. In fact, some business property owners in Toronto have long complained that they bear more than their fair share of the property tax burden. 9. What happens if I don’t pay? You get charged credit-card type interest on unpaid tax. Toronto, for example, charges 1.25 per cent a month. If you put your head in the sand and continually refuse to pay, the municipality can seize your property and sell it to recoup the taxes, although this is a long and seldom-used process that often takes years. The property owner gets whatever is left over. This doesn’t happen often, but towns and cities do use this power in some cases if payments fall far in arrears. 10. Where does the tax money go? Property tax goes to local governments to pay for services such as roads, parks, police, fire fighting, ambulance and transit. Municipal property taxes also cover part of the cost of welfare. Some of the proceeds also flow to the public and separate school systems; taxpayers are given the option which system to support. Thanks for visiting blog; it’s always updated with new info. WE ARE GOING TO KEEP POSTING NEW ARTICLES RELATED TO VALUE YOUR INVESTMENT SERIES, YOU CAN SUBSCRIBE IN ORDER TO STAY CONNECTED, THANK YOU FOR BEING PART OF NETWORK. If you have any questions/suggestion or require more information, please do not hesitate to contact me and I will be happy to assist you. What makes buying a home different from other investments? 1. You may find it hard to get your money out. Some investments can lock in your money for a while, but you can usually pay a penalty and get your money out if you really need it (for example, a five-year Guaranteed Interest Certificate (GIC)). If you buy a home, you may find it will tie up most of your savings. Turning your house into cash means selling it or renting it out, and that can take a lot of time and effort. That’s why a home is not considered a very liquid investment. 2. You will pay very different kinds of costs. Most investments have costs like service charges, fees, or commissions. The costs to maintain a home investment are different, and many are hard to plan for. There are taxes and utility costs, for starters. Then there’s maintenance. On top of that, if you have a mortgage, you will pay interest – and interest rates can go up, making your home investment more costly to own. 4. You get the unique advantage of living in your investment. Most investments bring you a return in the future. A home can do that too, but with a home, you also get to enjoy your investment by living in it. 5. You are not just investing, you are also borrowing. A few lucky people have enough money to pay cash for their homes, but most people make a down payment and borrow the rest by taking out a mortgage. When you buy investments like stocks and bonds, you don’t usually borrow the money you invest – or at least, not as much. 6. You use different sources of information to research your home investment. Your real estate agent is your best source of information when buying a home. Find one you feel comfortable with, who seems to understand your needs and your budget. Make sure they are familiar with the area you are interested in. Of course, don’t overlook other sources of information. For example, people in the neighbourhood are often willing to share information that can help you make your final decision. Newspapers, books and the Internet also provide useful information. You can also talk to your banker or financial adviser. The return on investment for homes in some places is higher than it is in others. Whether you live in a small town or a big city, you get the same interest on a GIC. If you buy a house in a small town, you probably will not pay as much for it as you will for a similar house in the centre of a large Canadian city, close to public transit, shopping, schools, and entertainment. If you have any questions/suggestion or require more information, please do not hesitate to contact me for buying or selling and also I will be happy to assist you negotiating your investment needs. That’s the total value of Toronto’s 573,948 single family homes, according to the property assessments, although in our current, overheated real estate market the actual sales figure could be 20 per cent more. That huge number is based on an exclusive Star analysis of the Municipal Property Assessment Corp’s (MPAC’s) property assessment data. The biggest house in the city, with more than 31,000 square feet of living space, is 100 times the size of the smallest, with a mere 294. Condos make up 75 per cent of homes built since 2000. In 2008, condos were 86 per cent of new homes. Condo buyers are increasingly paying more for less. Assessments for newly built condos have skyrocketed to more than $400 per square foot — 40 per cent above the overall average of $288 — while the size has dropped 20 per cent over 10 years to an average of 795 sq. ft. in 2008. More than 4,600 condos are less than 500 square feet. The assessment rate for new detached houses — which are being built bigger — is 10 per cent above the overall average at $300 per square foot. New, semi-detached houses offer the best deal per square foot. Assessment rates are less than $200 per square foot, 20 per cent below the overall $251 average. In 39 of Toronto’s 532 census tract neighbourhoods, the average assessed value of a detached house is more than $1 million. Across the city, 24,000 detached houses are assessed at more than $1 million — and 33 at more than $10 million. In 20 neighbourhoods, the average assessment is less than $300,000, and in one area, less than $200,000. The largest condo in the official records is more than 8,000 square feet, 40 times larger than the smallest, with less than 200 square feet. The average assessment of single-family homes in Toronto is $442,935, based on the estimated resale price in January 2008. The average resale price of single-family homes in Toronto in the past year was $447,609, and for April was $479,340, according Toronto Real Estate Board figures. These numbers paint an extremely detailed portrait of Toronto property values. Analysis by the Star’s Catherine Farley of the latest municipal property assessment data reveals a city of dramatic contrasts, with real estate values from less than $100,000 to more than $15 million. It also shows how condo and house values differ between neighbourhoods. Five zoomable interactive maps provide the average assessed value of homes in each of the Toronto’s 532 census tracts, and – for the first time – a separate value for detached houses, semi-detached houses, townhouses, and condos. The information at the census tract level was provided by the City of Toronto. The current assessments were set by the Municipal Property Asssessment Corp. and represent the estimated value at which each property would have sold in January 2008. For more information on selling your home do not hesitate to call or email me. Also, please take advantage of a FREE HOME EVALUATION. If you have any questions or require more information, or have suggestion, please do not hesitate to contact me and I will be happy to assist you. Please, forward my name, phone number & e-mail address to your friends, relatives, clients.. They will be appreciative for it, I promise. South Unionville Square is a beautifully designed mixed use development, which will be home to a wide range of prime retail, restaurant, office and medical space along with townhomes and a condominium tower. With nearly 500,000 square feet of combined commercial, retail and residential space, located on Kennedy Road, just north of the 407 ETR, South Unionville Square is sure to become a future landmark in Markham. I had two different experiences this week that involved this illusion of a “new rule” that forces all buyers to put down a minimum of 10% as a down payment. Where did people get this from? I’ve been emailing with a client of mine in the past week as he is sitting on the fence about whether to buy a small house or whether to extend his current lease for another year. He went on to explain that his understanding of the new mortgage rules were such that the minimum down payment had been increased from 5% to 10%. He could not be more mistaken. I explained the new mortgage rules to him, and he felt a bit silly. But he also felt relieved, and a little overjoyed as well. He was now jet-set on purchasing a house. But I asked myself why this happened in the first place, and I realized that perhaps it’s because I simply assumed people knew how the new mortgage rules worked. Do you know what my favorite movie line of all time is? And of course, I was the creator of my own fate when I simply assumed that the entire world read through Jim Flaherty’s new mortgage legislation back on February 16th, 2010. What I find the most incredible, however, is that a colleague of mine has a client who was specifically told by her mortgage broker that he now has to come up with 10% down! By his mortgage broker! There are people in the industry who don’t even understand the rules! Owner-occupied properties, both freehold and condominium, require a minimum five per cent down payment. Where there could be some confusion is with respect to re-financing. Home owners can now only borrow up to 90% of the value of their homes for re-financing. This is down from 95% as had been previously. The rule was instituted to prevent people from taking too much equity out of their homes. Perhaps this begs the question “why” somebody wants to borrow 90% of the value of their home? Maybe they can make more money than the 4.49% they’ll be charged in interest. Maybe they take regular trips to Columbia and bring back suitcases with false-bottoms. Bottom line: you can only borrow 90% of the value of your home. And I guess in a roundabout way, this could have been misconstrued as a change with respect to the minimum down payment on a property. Other changes worth mentioning, now that we’re at it, involve the minimum down payment for investment properties. If you have your name on title for one property, a second property would automatically be deemed a “non-owner occupied unit.” It seems to reason that you can’t occupy two units at once, right? The minimum down payment for non-owner occupied units has risen to 20%. This rule was instituted to prevent investors from over-extending themselves. No longer can you run around and purchase properties with 10% down or even 5% down. There’s a reason that all the pre-construction developments have started asking for 20% instead of 15% or 10%; it’s tougher for everybody to get financing these days, developers included! They need to collect heftier down payments from buyers so their projects can get financed by the banks. And the last change that was instituted back in February has to do with the qualification process. All borrowers must meet the qualifying standards using the five-year fixed term rate even if they choose a mortgage with a lower interest rate or shorter term. I guess this just puts us all on a level playing field. So there you have it; perhaps it’s two months too late, but better late than never. To all those buyers out there that are being told by their inept mortgage brokers with four months’ experience that they need a minimum of 10% down – you don’t. why pay more ? 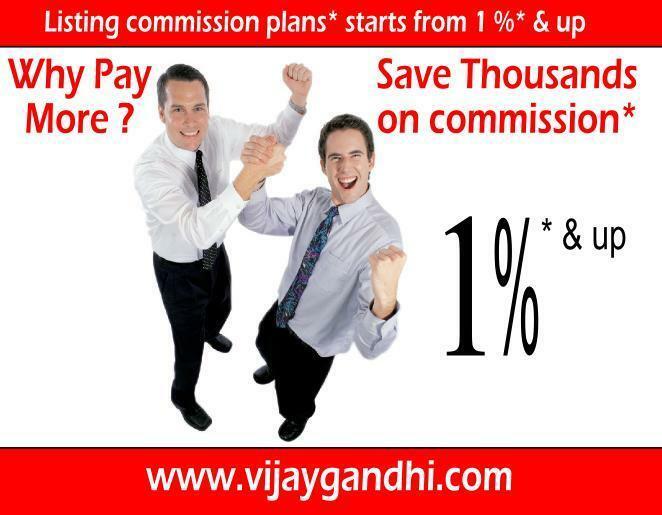 listing commission plan starts 1%* and up,get VIJAY now. Posted by gtarealtyagent in Business, condo assignment investments, Condos, current real estate affaiirs, Development, Houses, International, Leasing/Renting, Let's Talk Investing, Mortgage, Neighbourhoods, New Development/Week, Opinion, Pre-Construction, Re/Max, Real Estate info & ideas, Rental, Stories! 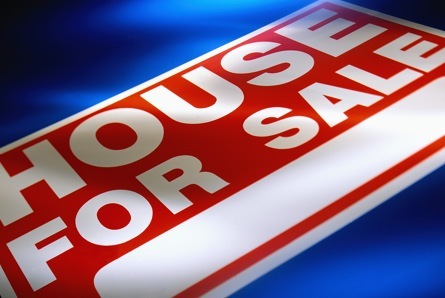 FSBO means “For Sale By Owner” to the public. To REALTORS, FSBO means “Fastest Sales Business Opportunity”. History shows that, on average, about 86% of FSBO’s will place their property in the hands of a licensed real estate professional within 30-45 days of deciding to sell. History also shows that only 5% to 6% of the FSBO’s succeed in selling their property without hiring an agent. What happens to the missing 8% to 9%? They give up, take down the sign and may try again at a later date. What motivates a potential seller to try to sell his/her property by himself/herself? Usually it’s money. The FSBO would like to “save” at least the listing portion of a commission. The overwhelming majority of FSBO’s today realize that most buyers have hired a “buyer’s agent” and do plan on paying that agent’s commission from the sales proceeds. And contrary to anything you may have heard, real estate agents will definitely show FSBO properties to their buyer clients and customers after verifying with the FSBO owner that their fee will be paid. Why do so many FSBO’s give up so quickly? Usually it’s because they already suspected they would not succeed but wanted to just give it a try anyway. After a while, the effort becomes too expensive, time consuming and too much hassle. 1.Hire an attorney (preferably one who specializes in real estate) to help draft contracts and help with other paperwork and legal issues involved with selling your property. 2.Ask the attorney for a list of other service providers you may want or need to hire such as appraisers, inspectors and title firms. 3.Locate and complete a “Seller’s Disclosure” form. This is your absolute best protection against future lawsuits by disgruntled buyers. When in doubt, disclose, disclose, disclose. 4.Plan your marketing strategy and budget. In order to get the highest price for your property, you need to reach that one buyer who is willing to pay the most. To reach that one buyer, you’ll want to cast the broadest possible net with your marketing. Your marketing might include a custom website about your property, adding your information to various commercial FSBO websites, creating flyers, purchasing print advertising (there are FSBO magazines to be picked up in stores), purchasing and placing signage and hosting events to invite buyers (and agents who have buyers) to your property. There are good publications about writing effective ads at the library and at bookstores. 5.Buy and read a good book on the subject of selling your own home. It will have many checklists and timelines to keep you on track. De-clutter, clean and stage your property. 6.Prepare a “home book” about your property and your neighborhood to show buyers how desirable your area is. Include information on public and private schools, shopping, public transportation, houses of worship, recreation and entertainment. 7.Gather information about your utility bills, taxes, Restrictive covenants and restrictions, etc. for buyers. 8.Be prepared to provide buyers with names and contact information of lenders currently lending in your area (not all buyers are cash buyers). 9.Consider getting an opinion of value from a licensed real estate appraiser. Place this in a conspicuous place for buyers to study. 10.Contact your local city office to get a free copy of the “ Housing Guidelines”. This very valuable publication will help you avoid potentially disastrous advertising, showing and contractual situations.and legal consequences. • Find out if they are qualified to buy your property. • Set a mutually convenient appointment to show them the property. • Get your property “show time perfect”. • Have the property information and disclosures mentioned above ready, along with a contract offer form prepared by your attorney in case they want to make an offer. • Allow the buyers to tour the property, but try not to “hover” over them. Sellers often convey their anxiety and even volunteer too much information out of nervousness. • Get the buyers contact information because you’ll want to follow up with them to ask what they thought of the property, if they have any “constructive criticism”, etc. • If they want to make an offer, contact your attorney and begin the negotiations. These are just a few things to consider when selling your house on your own. If you have more advice or do’s and don’ts for FSBO’s, please leave a comment. Note: The above suggestions are informational only and are not a substitute for legal, tax or other professional assistance.info.use at your own concern. In my last blog I let you know how the HST affected Sellers in the GTA. Now what happens to Buyers? Well if you are buying a new home or condo, most builders as they did with the GST, will incorporate the HST in the selling price and claim the rebates from the government. The government is giving 75% rebate ($24,000) on the first $400,000. So you probably won’t notice the spike in prices on the average home and condominium. However, for the high end homes you will definitely feel the tax. At $500,000 expect to pay another $8000 and buying a $600,000 new home- $16,000. What happens if you are buying a home for $600,000 and it isn’t new? How much tax will you pay? Lucky for you, just like the current GST exemption, the government is extending the exemption to HST on buying resale homes. However, if your home has been extensively renovated and improved, then the government will want its appropriate share of improvement taxes. Lastly as a Buyer you will be paying closing costs on the purchase of a home. If you close before July 1st, 2010, you will not be paying HST on your legal, moving, inspection fees. However, if any or all of these services are done after July 1st, 2010, you pay HST. Over all most Buyers will pay less HST on Resale homes and condos but pay more on buying NEW. Buyers save on resale as they do not usually pay Realtor commissions. So folks, these are the changes Buyers should be aware of. If you close before July 1st… HST will not be charged. HST will be charged if you buy now and close after July 1st. Thinking of investing in Condos, email me and get VIP discounts and 1st choice with new condos. HST (TAX)- What You Need to Know HOME Sellers! let me tell you how HST will affect Sellers of Real Estate and in another post I’ll mention the affects on Buyers. HST will apply on all current services you pay GST on. So you will pay on Realtor commissions, Lawyer fees, Inspections, Maintenance, Moving Costs, etc so on and on in every days routine,this is now becoming part of everydays’ routine as we are used to higher tax in NorthAmerica wide. 1. If you list May 1st and close July 5th. As long as 90% of the services related to your Real Estate transaction (open houses, getting mortgages, inspections, title search, etc.) 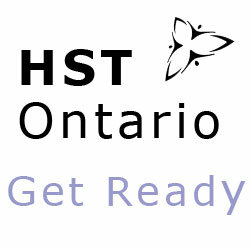 occured prior to July 1st… then you won’t have to pay HST just the GST. 2. If you list May 1st and close Aug 1st. Since the 90% rule won’t apply you will now pay on a weighted scale. 2 months (2/3) GST and 1 month (1/3) of HST on all your closing cost (commission, lawyer fees, etc.). All costs incurred prior to July 1st would only have incurred GST. Movers would have charged entire HST. How much will you be paying extra? Lets calculate using an average GTA price of $400,000 for a single family house. So Sellers are looking at around $2000 added to closing costs. Nothing too significant that will cause a dent in the Toronto market. The Toronto Land Transfer Tax was significantly more expensive and had no affect. I think surrounding municipalities will probably add their own form on Land Transfer Tax in the upcoming 3-5 years. In my next post I will talk about how GST affects Buyers.